GRC President, Michelle Wiseman presenting the award to USAgain’s Kevin Fitzgerald, Regional Sales Manager at 2015 annual conference. 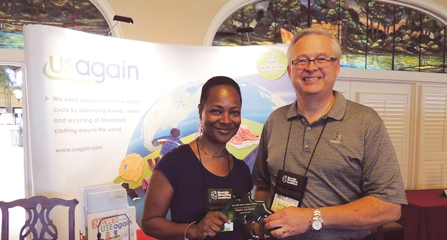 STONE MOUNTAIN, GA (Aug. 31, 2015) – USAgain, a leader in the textile recycling industry, was recently honored for its success in recycling and waste reduction within Georgia during the ninth annual Spirit of Green Awards, held by the Georgia Recycling Coalition (GRC). For the second year in a row, the GRC presented USAgain with the Environmental Stewardship Award during its annual conference in St. Simon’s Island, Georgia. The award serves to highlight excellence in recycling and acknowledges individuals or organizations whose actions sustain the recycling industry’s viability. For the past 15 years, USAgain has provided textile recycling services to the residents of Georgia, helping to divert over 58,550,000 lbs of textiles from the state’s landfills. 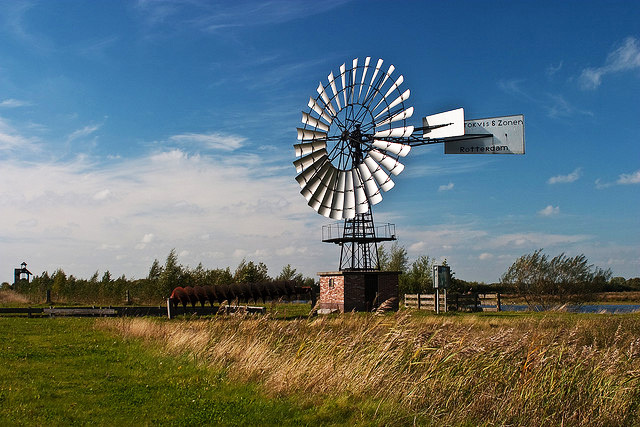 Working with organizations, community leaders and public officials, they have helped improve the environment by preventing over 409,850,000 pounds of greenhouse gases and landfill space by over 367,383 cubic yards – or over 28,539 garbage truckloads. With a no-cost, no-work and no-liability system for recycling participants, USAgain has implemented 1,300 clothing collection bins across Georgia. As the collections begin to reduce waste and create efficiency for waste management operations, they also produce revenue streams for partners thanks to the company’s revenue share program. More than 12 million tons of textiles are discarded in the U.S. every year with only 15% being reused, recycled or repurposed. After creating 10 new partnerships in the past year, USAgain aims to grow recycling rates by continue making recycling more convenient to citizens of Georgia while improving the environment. ATLANTA, GA (May 27, 2015) Morgan County, GA has entered into agreement with USAgain, a local textile recycler to provide residents convenient ways to recycle more household waste beyond traditional items like paper, plastics, cans and glass. Residents will now be able to give a second life to their surplus clothing, shoes and household textiles like drapes, towels, sheets, drapes etc by placing these items in USAgain textile recycling bins located at Morgan County’s 12 collection sites. Currently, less than 3% of household waste is recycled in Morgan County. According to the Waste Department website, 95% of what is thrown away could be recycled. Meanwhile, the EPA reports that on average Americans recycle at a 34.5% rate. Hoping to bridge the gap between Morgan County’s rates and the national average, the County Commission approved the recycling partnership on April 21st, the day preceding Earth Day 2015. According to County leaders, diversion of waste is key in reducing costs in city infrastructure and improving energy efficiency. “For Morgan County, two of the primary benefits of textile recycling are to reduce our solid waste disposal costs and reduce our carbon footprint,” said County Manager, Michael Lamar. Additionally, diverting trash from landfills for reuse in the marketplace creates green jobs and generates revenue while saving natural resources. According to the U.S. EPA, 85% of all discarded textiles – 12 million tons – are sent to U.S. landfills every year. Textile recyclers – such as USAgain – puts materials back into the use cycle, conserving natural resources, preventing greenhouse gas emissions and saving landfill space. Ellen Warren, District 4 Commissioner said that she is very excited about the USAgain textile-recycling program. In a note on the topic, Warren said she is looking forward to using it herself to recycle her old clothes and help improve our environment through the use of the program. In addition to this partnership, USAgain hosts 950 recycling bins throughout Georgia. “USAgain is thrilled to partner with Morgan County as it’s an important step forward to help raise awareness and access to increasing textile recycling,” said Mattias Wallander CEO of USAgain. Get Ready for the America Recycles Day Challenge 2014! Since 1997, communities across the country have come together on November 15 to celebrate America Recycles Day. Join USAgain in raising environmental awareness beyond November 15 while diverting textile waste from landfills. What is the America Recycles Day challenge? 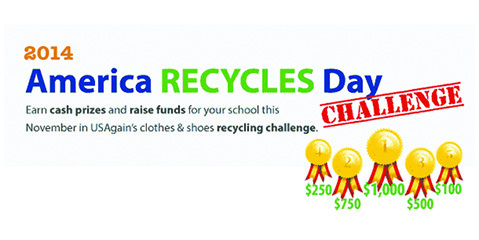 Throughout the month of November 2014, all participating schools will compete to collect the most textiles for recycling. The top five collecting schools will win cash prizes and all schools will raise funds for every pound collected. 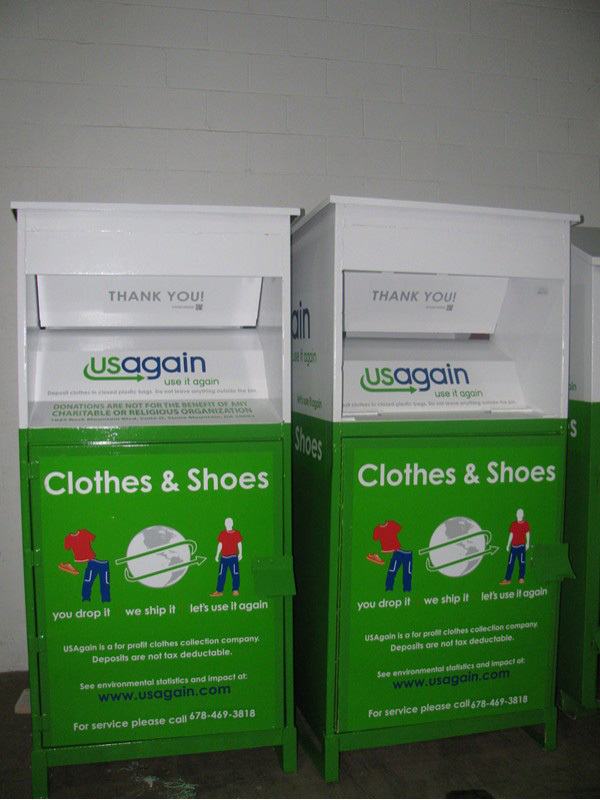 By hosting a USAgain collection bin on your property, your school is offering students, faculty and the local community an eco-friendly and convenient way to recycle clothes and shoes while your school earns cash per pound of textiles collected. What can my school win? The top five collecting schools will win $1,000, $750, $500, $250, and $100, respectively. All participating schools will raise funds per pound collected. No. 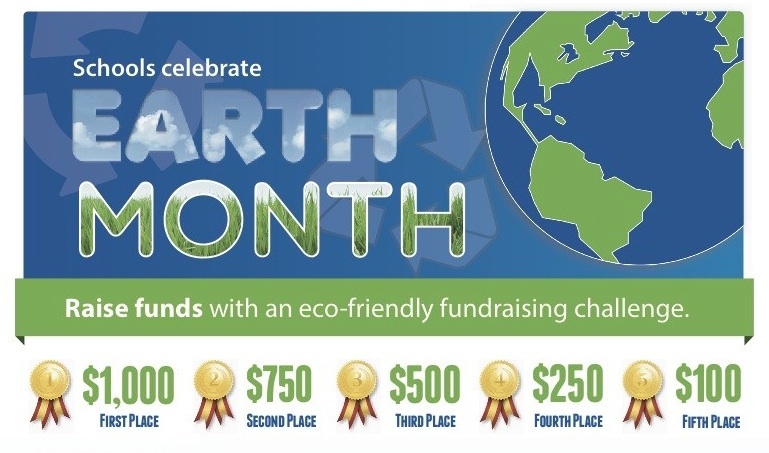 USAgain textile recycling fundraisers and contests don’t require any work from your school, parents or students. Does my school need to sign-up or register? Yes. But if your school is already hosting a USAgain bin, you are automatically registered for our school contests. For schools not already hosting a USAgain bin, please sign-up to have a USAgain bin placed on your property. The deadline for America Recycles Day registration is October 30, 2014. How can we promote our USAgain collection bin during the America Recycles Day challenge? Downloadable promotional materials, including posters, handouts and flyers designed to help you spread the word in your community, are available here. How can I see my school’s ranking or collection totals? When is the America Recycles Day challenge? Mark your calendars! The America Recycles Day challenge is November 1-30, 2014. The U.S. EPA estimates that 12 million tons of textiles end up in the landfills every year. If collected, these trashed textiles are in a condition to be reused as secondhand clothing or repurposed for use as industrial wiping rags, insulation or furniture stuffing, among other uses. Learn more on our For Planet page. USAgain wins big at the GRC! Stone Mountain, GA (Aug. 25, 2014) – USAgain announced today that it has been honored with Environmental Stewardship Award from the Georgia Recycling Coalition at their Spirit of Green Awards ceremony. This award is given to individuals or companies whose actions sustain the recycling industry’s viability. It is one of several awards given by the Georgia Recycling Coalition at their annual conference held at St. Simon’s Island on August 17 through 20. The winners are selected based on program’s history, key accomplishments, distinguishing characteristics and outreach. We are honored to receive this award as it marks our efforts to collect textiles for reuse and recycling. We’d like to thank our program partners, such as counties and Keep Atlanta Beautiful, for playing an important role in making our program available to local communities,” said USAgain President Poul Jorgensen. USAgain is a for-profit company that collects clothing, shoes and other textiles to put them back into the use cycle. In 2013, the company collected 8.1 million pounds of textiles in Georgia and helped prevent 24.3 million pounds of CO2 from entering the atmosphere, more than 4.8 billion gallons of water and 19,905 cubic yards of landfill space. That’s enough to fill 797 garbage trucks. This marks the first award USAgain has won from the Georgia Recycling Coalition. Last year, the California Resource Recovery Association presented USAgain with the outstanding “Closing the Loop” commitment award. Currently, all textile-recycling efforts nationwide collect only 15 percent of the total textiles generated annually. The rest 12 million tons makes its way to landfills. The Georgia Recycling Coalition is a non-profit organization with the mission to complement and coordinate activities relative to recycling, to foster communications among professionals, organizations, government agencies and individuals. 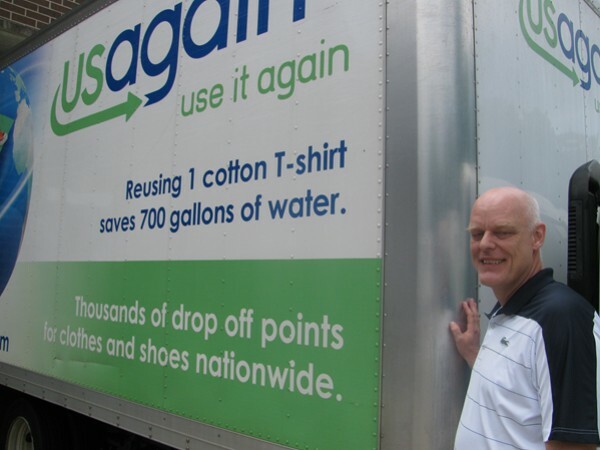 USAgain – a leader in the textile recycling industry since 1999, USAgain is a for-profit company that recycles and reuses clothing, shoes and other textiles. Its mission is to provide consumers with a convenient and eco-friendly option to rid themselves of excess clothing, which is diverted from landfills. USAgain maintains more than 14,000 collection bins in 19 states. For more information, visitwww.usagain.com. 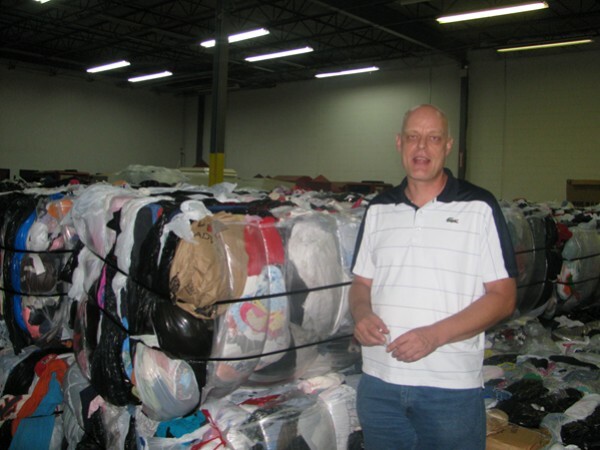 Stone Mountain, GA (November 1, 2013) – USAgain, the textile recycling company, is collecting winter clothing that it will donate to local Boys & Girls Clubs throughout the nation during the holiday season. Items may be deposited into USAgain bins throughout the month of November. USAgain will donate winter coats, hats, gloves and mittens to Boys and Girls Clubs during the week of December 10, 2013. Clothing collected by each division office will be distributed to a local Boys & Girls Club, where it will be donated to a child or family in need. The initiative provides a convenient, accessible method for people to donate locally during the season of giving. Donated clothing may be slightly worn but still in good enough condition to be work again. The campaign is running in 10 cities where USAgain divisions are located: Atlanta, Chicago, Denver, Milwaukee, Minneapolis, New York, Pennsylvania, St. Louis, San Francisco, and Seattle. “By providing our communities with an alternative to throwing away unwanted clothing, not only are we helping conserve landfill space—we’re supporting the Clubs, too,” said Teresa Johnson, Director of Operations for Boys & Girls Club Silicon Valley, CA that received the donations last year through this program. To find a USAgain recycling bin to drop off winter clothing, simply visit http://www.usagain.com/find-a-collection-bin and enter your city or ZIP code. Items of all styles and sizes are accepted, and all items placed in the bin should be placed in a bag. The folks at USAgain (pronounced use again), a textile recycling company, like to say their business is a triple win—for people, the planet and profit. “Yes, we’re a business, but we’re proud to be a business that’s good for the environment and that helps people in developing countries and here in the United States,” said Kevin Fitzgerald, USAgain regional sales manager, who works at the company’s Atlanta area office, located in Stone Mountain. “Textiles are the worst things you can put in a landfill. When they decompose they create more pollutants than paper or plastic do,” Fitzgerald continued. He cited EPA figures that American households discard a total of 25.4 billion pounds of textiles annually. “We are a green enterprise seeking to keep clothes out of landfills because all too often, clothes get tossed in the trash. Almost everyone understands and recognizes recycling aluminum, glass, paper and plastic, but unfortunately not enough people recycle their used clothes and shoes. According to the EPA, just 15 percent of clothes are reused or recycled, although all clothing and shoes can be reused or recycled,” Fitzgerald said. He said that while his business deals in discarded items, passing such items along as giveaways in developing nations does not help their economies—but selling them at a low price does. “Leaders in these countries discourage giving clothes to people there. People have more pride and dignity when they can raise a crop, sell it and have a little money to shop for inexpensive used clothing. The local shopkeepers get to make money as well,” added Boedskov, who said he has worked in developing African and Asian countries and seen firsthand the needs of the people there. In the United States, thrift stores are a growing business, he said, noting that in 2009 there was a 12.7 percent increase in the sale of used clothing, compared with the previous year. During that same period, retail sales overall were down 7.3 percent, he said, citing U.S. Department of Commerce data. Boedskov, who is originally from Sweden, said textile recycling is more common in European countries, but even there only an estimated 30 percent of textiles are recycled. In addition to clothing, towels, bed linens, draperies and other cloth items can be recycled. Many of the items are reused as they are, he said. Others are taken apart for a second use. “In India, they often pull the yarn out of sweaters and reknit it into a new garment. Wool can be used and reused indefinitely. Even clothing that is too worn for reuse can be shredded and used in insulation and furniture stuffing, for example.” Even items people don’t normally think of putting in collection bins, including used underwear, can have a second life, he said. USAgain collects items for recycling in its green and white collection bins, which are placed in commercial areas with permission of the property owners. Right now, Fitzgerald said, there are approximately 1,000 bins in Georgia, 47 of which are in Decatur. The company also has 100 bins in Alabama. “We try to make it as convenient for people as possible. People will recycle if it’s easy for them. So far this year, Decatur and USAgain have recycled more than 93,000 pounds of textiles and prevented the emission of more than 653,000 pounds of carbon dioxide into the atmosphere in doing so,” Boedskov said.